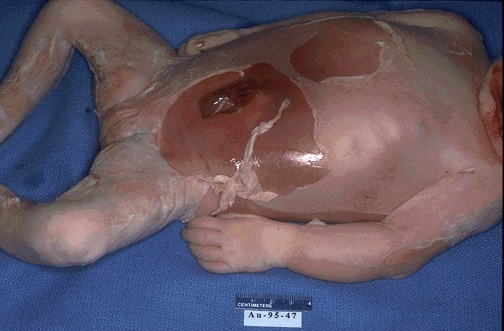 Death of the fetus in utero is accompanied by changes of maceration. Seen here is one of the earliest changes (within half a day) which is slippage of the skin. As this process advances, the skin becomes reddened.